CarShop have rolled out the red carpet as we’ve taken stock of a very prestigious car marque. The Italian manufacture, Maserati, is taking centre stage at a few of our stores as we have received three stunning Ghibli’s from the sportscar’s admired range of vehicles. 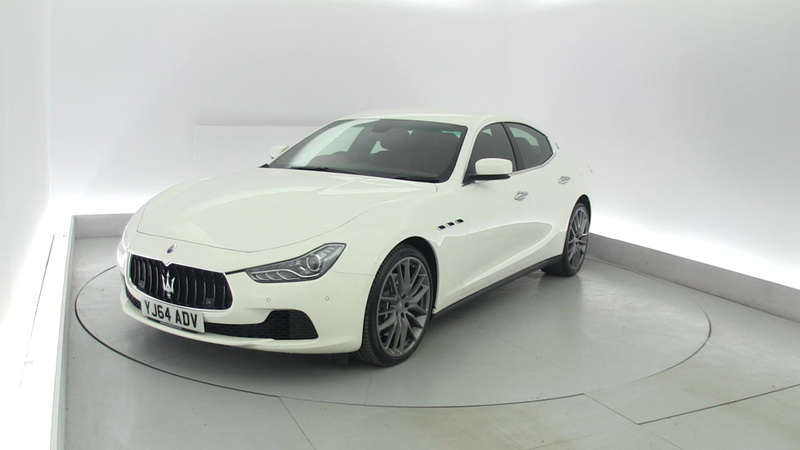 With its lavish looks, and every day practicality, the Maserati Ghibli is a car that has been attracting a lot of attention as it has been battling against the high-end executive saloons like the BMW M5, Audi S6 and Mercedes AMG E-Class. A slimmed down version of the larger Quattroporte, CarShop has the tamer and more efficient diesels available to purchase. But don’t let that fool you as these turbocharged 3.0-litre V6 units deliver an impressive 275bhp and can return over 48mpg. The engine does pull strongly with the aid of the turbocharger which can get from 0-60 in just over six seconds. Drive it like you mean it (within UK legal speed restrictions) and you will no doubt see the predicted 48mpg figure decimate dramatically. The cabin is one that five adults can feel comfortable in. Its stylish aesthetics benefit from stitched leather all around, stunning dials and instruments, and even a Maserati clock in the middle of the fascia. The ride is great too, especially with riding on those large 19-inch alloy wheels. Two suspension settings are provided for the Ghibli coming in the form of a normal mode which will eat up even the shoddiest UK road imperfections, and a sports mode to harden the ride up when it comes down to being a bit adventurous on those twisty, narrow country lanes. Within its category, the Maserati is up against some tough competition by the main German manufacturers and also Jaguar. There's a bigger sense of occasion though about this car that counts for a lot when buyers are parting ways with £40,000 plus. With its sleek, stylish looks, the Ghibli will get heads turning as you drive down the high street, and will no doubt get some admirable attention when you answer the “What car do you drive?” question.